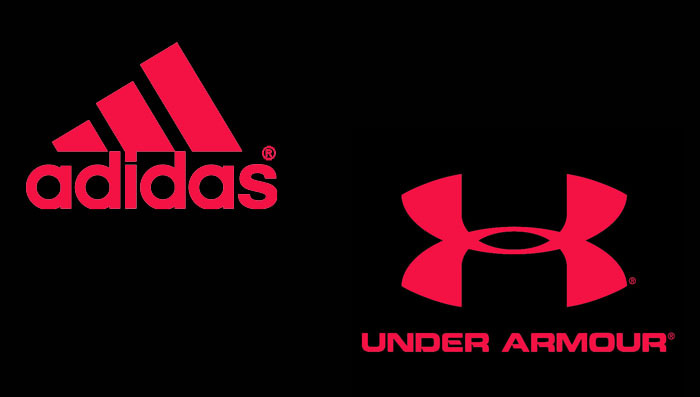 According to reports, adidas has filed a lawsuit against Under Armour, citing infringements on exercise tracking and fitness monitoring patents. The complaint states that adidas believes Under Armour's Armour39 products infringe on its own patents that provide technology for mobile applications that track heart rate, calories burned and other information during workouts. Armour39 consists of chest straps, watches and supporting software, mobile applications and mobile products marketed by the companies MapMyFitness unit. MapMyFitness, acquired by Under Armour for $150 million last year, provides service to 20 million users worldwide. "MapMyFitness has been recognized as a pioneer in this category," Under Armour spokeswoman Diane Pelkey said in a statement. "We are aware of this lawsuit and are in the process of reviewing the complaint." The twist in the story is that Under Armour's director of research was once a senior engineering manager at adidas. “Accordingly, Under Armour, by and through its director of innovation and research, has direct knowledge of Adidas’ patent portfolio,” adidas stated in the complaint. In the lawsuit, adidas claims 12 instances of patent infringement and seeks to recover damages through a jury trial. "Informed by research, development and the insights of elite athletes, our innovation defines and drives us, and it puts us ahead of competitors," adidas said in a prepared statement Tuesday. "Today, adidas is moving forward to protect digital technologies core to our miCoach product, which includes patented performance-tracking technology that provides athletes with first-rate training programs." In 2008, adidas launched miCoach, its own digital system that tracks your workout progress, provides coaching and allows you to see improvements.